We are creating a new non-profit organization dedicated to matching experienced Crohn’s Disease, Colitis, and IBD Patients (“Warriors”) to help new “Patients-in-Need” with these often painful and disabling conditions. To Support the mission we have designed and are selling T-Shirts for $25 each (depicted below.) We have made great progress and are now asking for your help. The “Crohn’s Disease Warrior Patrol” (the “CDWP”) is a NON-PROFIT “Patient Visitor Ambassador Program” which MATCHES veteran IBD patient “Warriors” with “local” Crohn’s, Colitis & IBD “Patients-in-Need” to offer much-needed “Tender Loving Care” (“TLC”). Crohn’s, Colitis and Inflammatory Bowel Disease (“IBD”) pose unique, multifaceted challenges for people newly diagnosed with these autoimmune, incurable diseases which are difficult to diagnose and even harder to treat. While medical professionals and hospitals try to help IBD patients as much as possible with TLC, in the current healthcare environment it is very difficult to do so. We also believe that the best person to advise a patient on how to be a patient is very often another patient. The fact is that in most healthcare settings, health care professionals do not have the time that it takes to provide the level of personalized care IBD Patients often need due to the nuances of these diseases. Crohn’s, Colitis and IBD are complex conditions with many treatment options. After the Physician and her or his team explain all they can, patients must often choose between the best of worst-case scenarios; whether they involve surgical options, medication/treatment choices and financial ramifications. Moreover, Crohn’s, Colitis and IBD are frequently referred to as the “Invisible Illnesses” because many times it is only the patient who feels and understands their severity. This is why we know the ear and advice of others who have “been there” and “tried that” is particularly important. We intend no criticism of medical professionals, only to highlight the need for an additional dimension of Patient Care we think we can facilitate which will make the entire Patient Care Team more effective, create better patient outcomes and teach patients better coping skills. Each patient is different and this CDWP peer-to-peer patient support concept is not intended as a substitute for highly trained care professionals, just as a unique new support network, or an “adjunct therapy” as your doctor might say. The fact is that these same autoimmune, incurable diseases can affect different patients, differently. This only complicates the job of the most compassionate, dedicated and skilled medical professionals. Combined with frequent serious side effects of commonly prescribed anti-inflammatory drugs, battling Crohn’s, Colitis or IBD can make being a patient a lonely, depressing existence. This is where veteran Crohn’s, Colitis and IBD Warrior patients and the CDWP comes into the picture. These Crohn’s, Colitis and IBD Warriors volunteer to help newly diagnosed patients or patients going through an especially difficult disease flare-up, either in the hospital or at home, with support, comfort, experience, personal patient stories, a hug, a smile, a laugh and an overall hopeful visit to let them know they are all in this fight TOGETHER. In this regard, the goal of the CDWP is to help eradicate the mental, physical and emotional challenges of “feeling different” which are inherent in many Crohn’s, Colitis & IBD patients, from the most naive child, to the savviest and most erudite of adults. The Warrior patients will be matched with the Patients-in-Need through short SIGN-UP HERE questionnaires located @ CrohnsDiseaseWarriorPatrol.org. The matches will be done based on BOTH geographic proximity (e.g., zip code) and disease commonalities between Warrior and the Patient-in-Need. The CDWP will gather this information from the CDWP website on a daily basis and create an active database so that Warrior patient visits can be set up as quickly as possible. Ideally, we seek to match children up with children, patients taking similar medications and treatments, Ostomy patients with other similarly afflicted patients, etc. and the database will reflect this information as it is collected from the Sign-up questionnaires. Moving forward, we have plans to incorporate Medical Professionals, Hospitals and Pharmaceutical Companies into the CDWP’s healthcare social media-powered Patient-to-Patient support community. How will the Crohn’s Disease Warrior Patrol (“CDWP”) benefit Patients? Crohn’s Disease, Colitis and IBD can be challenging to both physicians and patients from diagnostic and treatment perspectives. When a Physician is unable to diagnosis a patient, “palpable” pressure starts to build from a variety of fronts delicately conveyed to the patient that the symptoms are either “in the patient’s head” or they are not nearly as severe as “presented” by the patient. After all, due to the incurable and often mysterious nature of these autoimmune diseases, even the most dedicated and compassionate of medical professionals can only work with what they “see” on diagnostic tests. If you are an IBD patient or love someone who is, we ask that you support this cause by choosing an IBD Scholarship. This will be a foundation supported free service once we are up and running, but to get to that point we ask for your support. We will trade our time for this support and also help establish the worldwide network of CDWP Warriors that we have well-begun. Without the guidance of an experienced advocate or someone who has been in that exact situation, it is often difficult to communicate with caring medical professionals, especially while in severe pain or contending with repeated sudden trips to the bathroom. Accordingly, just by talking or listening to a member of the CDWP, that hard-to-diagnose patient will feel better about their situation and they will have HOPE and understand the almost counter-intuitive reality that the inability to initially diagnose a disease such as Crohn’s is actually often inherent to having the disease. That is, the disease is diagnosed only after all other possibilities are methodically ruled out yet the same problems persist over time. From Warriors, new IBD patients will learn the language of these diseases as well as the tests and types of information they should track to most effectively communicate with their doctors to facilitate the diagnostic process. A Warrior teaches new patients how to become an effective advocate so they can get the best care possible, as fast as possible. How will the Crohn’s Disease Warrior Patrol (“CDWP”) benefit Physicians, Nurses and other Medical Professionals? As a Crohn’s Disease patient for almost 30 years, I took this to mean that even the most caring physician is limited in providing Tender, Loving Care (“TLC”) due to the patient-interaction restraints aggressively enforced by Health Insurers and traditional Reimbursement policies. Nurses, who I believe are the glue which holds together our Healthcare System by providing patients with “Continuity of Care,” are similarly limited in providing TLC but for the different reasons of hiring freezes and nursing shortages which are completely out of their individual control. That said, I would have never made it through many of my 200+ hospitalizations if it weren’t for the incredible care I received from some nurses who clearly understood the unique physical, psychological, emotional, familial, professional and social effects of Crohn’s Disease. So, who can be relied upon to provide this all-important TLC in helping patients cope with a diagnosis or difficult flare-up of Crohn’s, Colitis or IBD? The CDWP is the perfect source for providing TLC because every veteran or Warrior Crohn’s patient is all too familiar with the process of becoming a Crohn’s patient and then learning how to live as a Crohn’s patient. Therefore, it is the ultimate objective of the CDWP to be embraced by medical professionals and made a part of the care they provide to their Crohn’s, Colitis and IBD patients. Sure, there are booklets and other well-intended charitable organizations and support groups but there’s something about the healthcare social media-fueled passion tapped into by the CDWP which can, and will, become a valuable tool in the arsenal of all physicians treating these often multifaceted challenging autoimmune diseases. How will the Crohn’s Disease Warrior Patrol (“CDWP”) benefit Hospitals and Surgical Centers? “Hope” is usually a mental aspiration of patients with incurable, autoimmune diseases like Crohn’s but the CDWP now makes that a visible reality. Just like the CDWP’s intention to be embraced by medical professionals, we believe our services will become so important to hospitalized Crohn’s, Colitis and IBD patients that hospitals will want to incorporate this “Visible Hope” into their increasingly patient-friendly environments. In that regard, we look forward to working with hospitals in different campaigns furthering this Visible Hope. One idea is selling Pillowcases with the beautiful CDWP logo printed or embroidered on it for their hospitalized Crohn’s, Colitis and IBD patients so they are always reminded that Hope is only days away when they get discharged with a Treatment Plan. To this end we have introduced the concept of the “IBD Center of Excellence” or COE for Hospitals, Clinics and Surgical centers that are well above average in patient satisfaction and IBD Outcomes. We also are very pleased to help coordinate care and reduce readmission rates by making sure maximal patient education outcomes are achieved through our standard as well as customized programs. Your local CDWP Leader will work with you to create an effective solution that will not increase your cost of care, but will improve the bottom line for you and your patients. How will the Crohn’s Disease Warrior Patrol (“CDWP”) benefit Pharmaceutical Companies? Traditional “Direct to Consumer” advertising in IBD has been controversial, largely because typical TV commercials are short on treatment-specifics, with relatively low success probabilities, but long on voiced-over severe side effects-specifics. Patients come away with the feeling that these drugs were approved by the FDA because “something” is better than “nothing” in treating these incurable illnesses. In fairness, though, some of these drugs work fantastically for Crohn’s and IBD patients but there are also many patients who can’t take them any longer because they acquired such severe side-effects that now Crohn’s is the least of their worries. But the CDWP is ready to help. In accordance with the healthcare social media technology-powered Global Patient Movement, the CDWP can help disseminate REAL patient stories almost instantaneously and that can help pharmaceutical companies and other partners in IBD care refine their Crohn’s, Colitis and IBD drugs/treatments so that perhaps success rates can increase and side effects can be minimized. We believe we can assist Pharmaceutical Partners with great ideas and sincere wishes to improve IBD treatments and outcomes by integrating the CDWP’s passionate activated community which truly cares about these often severe and disabling diseases. Whether it is an awareness event, a focus group or simply matching Warriors to companies they support, we are willing to listen to suggestions and work for the cure and/or less risky treatment options. See the reward at the right for “Partners” or contact us to create a customized program to help your company achieve its goals with the help of activated and engaged Patient Leaders. We all know the care that even the best doctors and nurses give is too often forgotten or ignored by patients as soon as they walk out the door. Whether it is reminder flyers and pamphlets, informative and supportive web sites, or follow-up calls, at the end of the day, there is only so much that can be done. Enter the CDWP. We can help your patients understand their disease and diagnosis and follow-through with proven coping strategies. We can also offer your long standing patients a way to give back to the community, which I have to tell you, feels great to be able to do with the CDWP. There is no substitute for talking to those who have been through the same trials and tribulations, especially when dealing with often multifaceted challenging autoimmune diseases like Crohn’s, Colitis and IBD. So, please look to the RIGHT and decide if you want to become a “CDWP Participating Practice.” We will provide your office with CDWP Startr Kits consisting of a T-Shirt, our flyer explaining what we do, our DVD, and, most importantly, a number to call. We certainly would appreciate your support and would welcome the responsibility to support your patient population. We will also list you in our directory of CDWP Offices we support, and are supported by, with your Sponsorship Badge of choice and a nice Plaque for the wall. We have already incorporated and filed for 501( c )3 Charitable Foundation status. Our next efforts will focus on organizing the Crohn’s, Colitis and IBD patient communities and creating an effective signup and matching system via www.CrohnsDiseaseWarriorPatrol.org which integrates the best healthcare social media interactive platforms while protecting patient privacy in accordance with HIPAA regulations. 1. Pay the attorneys who have formed the Non-Profit Corporation and filed for Tax-Exempt Status with the Internal Revenue Service. 2. Pay the Web Designer who is designing, customizing and stylizing the CrohnsDiseaseWarriorPatrol.org website to meet the increasing Global demand so that Veteran Warrior Patients can be most effectively matched with “Patients-in-Need” by zip code, age, disease specifics, etc. to ensure patient matches which are age and Crohn’s/IBD condition/issue appropriate. 3. Promote the CDWP website, service and the overall awareness of the potential severity of Crohn’s, Colitis and IBD so that the Crohn’s Disease Warrior Patrol is embraced by hospitals, medical professionals and pharmaceutical companies as an important part of their IBD patient care programs. 4. Liaise with, and develop programs in conjunction with, the various Crohn’s, Colitis and IBD Charitable Chapters and Support Organizations to enable CDWP to be useful to all who suffer from these frequently debilitating diseases. 5. Develop new Programs and Campaigns that raise mainstream awareness of Crohn’s Disease, Colitis and IBD, ensuring fewer cases go undiagnosed and untreated and that the general public better understands the potential severity of these autoimmune diseases. 6. Development of a Research Program supported by Donors. 7. 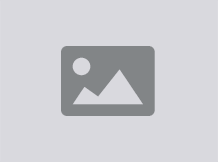 Enable crowdsourcing and the curation of the best content relating to the latest and best advancements in Crohn’s, Colitis and IBD care, diagnostics and treatment advancements. I, Michael A. Weiss, am the Founder and Executive Director of the “Crohn’s Disease Warrior Patrol” and in addition to having Crohn’s Disease for almost 30 years, I was a practicing Attorney, MBA and Patient Advocate for 25 years. My ability to organize, operate and expand the CDWP is based on my IBD experiences with over 200 hospitalizations, 20 surgeries and subsequently having a pronounced presence in healthcare social media (“#hcsm”) sharing these experiences to help others in such platforms as Facebook, Twitter, YouTube, Tumblr, LinkedIn, Google+, etc. I do this utilizing various social networking platforms such as my Blog at www.HospitalPatient.com, videos on YouTube and commentary on Twitter (@HospitalPatient). I also frequently participate in several globally significant #hcsm TweetChats and I interview key Healthcare “contributors” at YouTube.com/HealthcareInterview where we discuss cutting-edge topics such as “Deadly Dose,” the 2012 CNN television program hosted by Dr. Sanjay Gupta regarding the perils of prescription opioid painkillers and interview people truly making a difference in Healthcare such as Dr. Kevin Pho of KevinMD.com. I also speak at various Healthcare Conferences around the world as part of Patient Panels and am a part of several “Speaking Bureaus” focusing on delivering Healthcare, Motivational and Managing Chronic Disease speeches. In July, 2001, I wrote a critically-acclaimed book about the “hospital patient experience” for the Crohn’s Disease and IBD Patient called, Confessions of a Professional Hospital Patient and it was so successful that I appeared on NBC’s “Today Show” and the Cable TV Network MSNBC did a national feature on me and my IBD doctors. I did a great deal of media promoting the Book and that media training should serve me well in promoting the CDWP. We also have a cutting-edge and creative Web & Graphic Designer, Nadine Lockitch, Principal of “No Flakes Web Design,” who has helped me with each of the above #hcsm platform projects. Ms. Lockitch has successfully designed websites for individuals, businesses and celebrities in a multitude of industries from Television to Healthcare. Her graphic and digital interpretative expressions of the CDWP’s objectives are a vital part of the CDWP’s success. Marisa Troy, a recent graduate of Manhattanville College, Purchase, NY, has also joined the CDWP team. Marisa is an industrious 26-year-old who is adept at Social Media Branding and Grant Writing. She also has a strong personal connection to IBD having battled the disease since the age of 13 when she was diagnosed with Ulcerative Colitis and had an Ileostomy from age 16-19 and then permanently at age 24 after trying a variety of other options as she accumulated over One (1) year of nights staying in a NYC hospital during her late teen years. Thankfully, she is now a healthy, dedicated Patient Advocate and the combination of her passion and skills are an integral part of the CDWP. She has been instrumental in the development of the CDWP Foundation and will help with the healthcare social media campaigns, maintaining the Warrior and Patient-in-Need Databases and eventually will focus on writing Grant Proposals to help sustain the CDWP as an ongoing Charitable Foundation that supports not only peer-to-peer patient support, but also funds research programs to improve Crohn’s, Colitis and IBD care and overall awareness. Thank you for your interest and support for our mission. If you have questions, please do not hesitate to reach out to us directly. 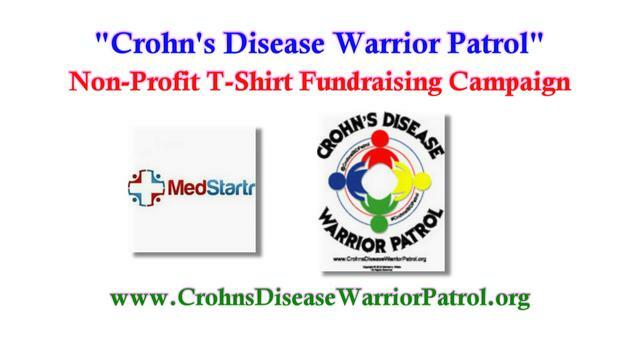 Three Crohn's Disease Warrior Patrol T-Shirts! To see the shirt, check out our video or page. Shipping within the continental US is included. For international shipping, please add US $16 (12 for standard, plus an additional $2 per additional shirt). AS MANY SHIRTS AS YOU WANT! Please multiply the number of shirts you want by $25. Shipping within the continental US is included. For international shipping, please add US $12 plus $2 per additional shirt. THE 101 SCHOLARSHIP - In Your Honor, we will match up the Patient of your choice with a member of the CDWP for an initial 60-minute Phone Consultation. This is normally a free service, but your early support will help facilitate the CDWP status as a 501(c)3 Charitable Foundation. For your support, we will also list you, your Practice or company as a Silver Sponsor of the CDWP on our site. THE 201 SCHOLARSHIP - In Your Honor, we will match up a Patient of your choice with CDWP Founder, Michael A. Weiss, a 30-year Crohn’s Disease Patient and Leading Crohn’s Advocate with a 1-hour Phone Consultation. Includes listing as a Gold Sponsor of the CDWP on our site. THE 401 SCHOLARSHIP - In Your Honor, we will match up the Patient of your choice with CDWP Founder, Michael A. Weiss and our team of IBD Warriors for three months of phone support. Includes listing as a Platinum Sponsor of the CDWP on our site. IBD SILVER PRACTICE PACK - Medical/ Psychological Practices which specialize in IBD are very special to us because you give the best care and we sincerely appreciate all you do. We want to help your patients too, as an adjunct therapy that is well-coordinated. Therefore, this reward includes an in-person presentation of how we can help, an introduction to the CDWP Leader for your Practice, Twelve "Startr Packs" of a T-shirt and literature in a nice box, a framed certificate for the wall of the Practice denoting your Silver Practice Sponsor Status of the CDWP, and a beautiful customized profile of your Practice on the CDWP site. VIDEO SPONSOR - We find DVDs and video to be among the best ways to introduce new IBD patients to the CDWP and peer-to-peer support we provide. This reward will specifically go towards sponsoring the video and include 50 copies with up to ten minutes about you and your practice as well as specifically marked packaging specific for YOUR PRACTICE. You will also be listed in the credits in the online version that will be watched by IBD patients worldwide. IBD GOLD PRACTICE PACK - Medical/ Psychological Practices which specialize in IBD are very special to us because you give the best care and we sincerely appreciate all you do. We want to help your patients too, as an adjunct therapy that is well-coordinated. To that end, this reward includes an in-person presentation of how we can help, an introduction to the CDWP Leader for your Practice, Twenty "Startr Packs" of a T-shirt and literature in a nice box, a framed certificate for the wall of the practice denoting your Golden Practice Sponsor Status of the CDWP, and a profile of your Practice on the CDWP site. We will also include your much appreciated Sponsor Status in tweets and blog posts where applicable. IBD PLATINUM PRACTICE PACK - Practices that specialize in IBD are very special to us because you give the best care and we sincerely appreciate all you do. We want to help your patients too as an adjunct therapy that is well-coordinated. To that end, this reward includes an in-person presentation of how we can help, introduction to the CDWP Leader for your Practice, Fifty (50) "Startr Packs" of a T-shirt and literature in a nice box, a framed certificate for the wall of the practice denoting your Platinum Medical/ Psychological Practice Sponsor Status of the CDWP, and a profile of your Practice on the CDWP site. We will also include your much appreciated Sponsor Status in tweets, writing, and press opportunities where possible. IBD CENTER OF EXCELLENCE - Our CDWP team will review your facility using new and existing survey materials (e.g. JCAHO manuals and reports) and consider listing your surgical center, Practice or other facility as a "Center of Excellence" (COE) in IBD care. The CDWP-Specific review will include outcome and patient satisfaction reviews performed by interviewing no less than twenty (20) IBD patients selected at random. If your Center is found to have a very high satisfaction level and better than average outcomes, you will become a CDWP IBD Center of Excellence. Note, this is a merit-based classification and not "pay for listing" so please do not apply if your intentions are not consistent with those of the CDWP. Treatment Centers that specialize in IBD are very important and we are creating a directory of all such centers around the world. We want to help your patients too as an adjunct therapy that is well-coordinated. To that end, this reward also includes an in-person presentation of how we can help, introduction to the CDWP Leader for your Center, 100 "Startr Packs" of a T-shirt and literature in a nice box, a framed poster for the wall of the Center denoting your Center of Excellence Status, and a beautiful customized profile of your Center on the CDWP site. If your Center is not approved for COE status, a constructive written analysis of steps needed to achieve that status and a 3 month re-assessment is included. CDWP PARTNER - We know there are many great organizations, companies, and foundations created and dedicated to helping Crohn's, Colitis, and IBD Patients. We are glad to partner with such similarly-minded organizations to achieve our mutual goals. For your support as a CDWP Partner we will work with you to create a customized program that helps you fulfill your organizational needs, whether they be recruiting patients for clinical studies, co-branding with the CDWP in social media to most efficiently convey your message, organizing and monitoring an effective focus group and related database, or all of the above. Please contact us directly or through MedStartr to discuss and we will make a custom Reward just for your organization.